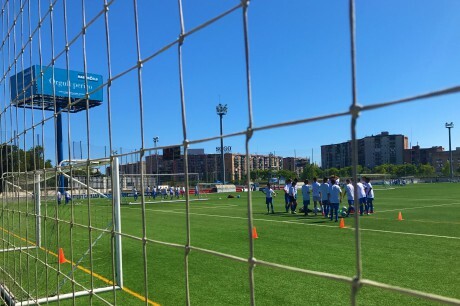 Spanish course + soccer camp for teens in Barcelona! What does this Spanish course with soccer training in Barcelona consist of? 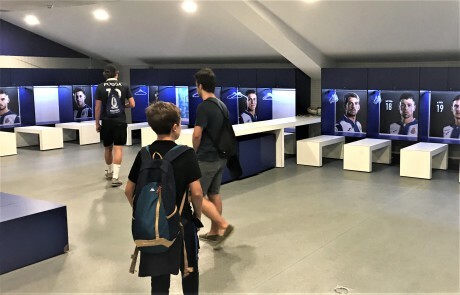 1 outing per week: FC Barcelona stadium and museum or RCD Espanyol stadium or the Gaudí’s works or a bike tour, for exemple. 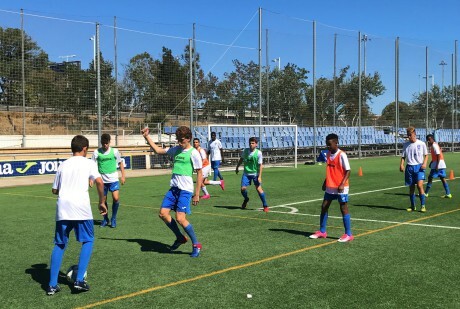 Why train with RCD Espanyol, a european soccer camp? Because it is known for its professional approach and healthy family-orientated atmosphere, making it ideal for our students. RCD Espanyol is one of the most emblematic soccer clubs in Spain. Its soccer school is one of the most prestigious in the country, and every year it supplies new players either for its own first-division team or other teams of the same level. The expert soccer coaches who work at the summer soccer school come from the club’s elite training centre. What are the aims of this programme? To improve soccer techniques through physical play (on-field sessions). To assimilate and execute tactical movements (on-field sessions). To learn about technical aspects, good hygiene, physical training, nutrition, etc (soccer workshops). 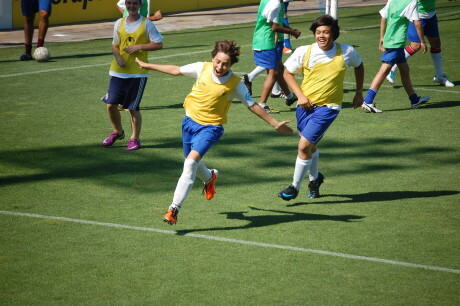 To encourage interest in and practice of soccer in a relaxed, recreational and educational way. To improve students’ knowledge of Spanish language in a Spanish-speaking environment. Who is in charge of this programme?